The historic Strawberry Building is ready for tenants again after extensive reconstruction and renovation. 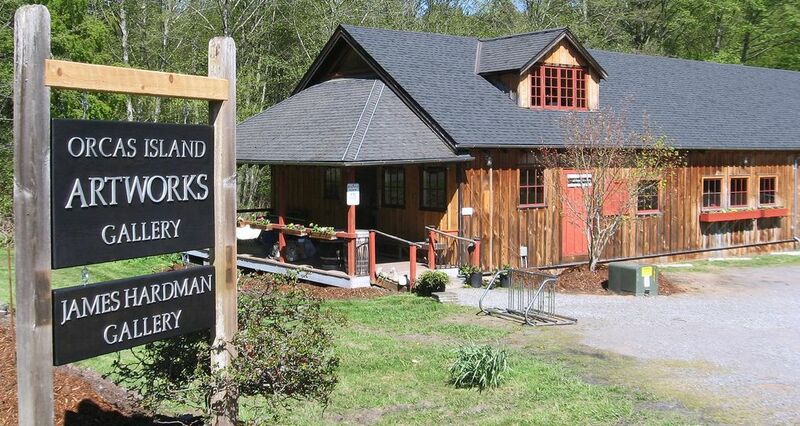 Orcas Island Artworks, an artists cooperative that lost its home to fire in 2013, is rising from the ashes — quite literally — and will return April 25 to the reconstructed Strawberry Building in the Orcas Island village of Olga. The historic wooden structure, originally the Strawberry Barreling Plant, was erected in 1938 to process the 450-acres worth of strawberries grown in the area at that time. Arson was suspected when the popular visitor attraction burned in July 2013. Since 1981, it had housed the Artworks gallery, exhibiting the works of dozens of local artists and craftspeople. The James Hardman Gallery occupied an upper floor. Tiny Cafe Olga was another tenant. All moved to Eastsound, Orcas Island’s largest town, after the fire. The Artworks and the Hardman Gallery are returning to Olga, while Cafe Olga has opted to stay in Eastsound. In its place in the Strawberry Building, the new Catkin Cafe, owned by Cheryl Helm, will feature island-grown meat and produce and house-made pastries and sweets. The building, on the Washington State Heritage Register, is owned by the nonprofit Olga Strawberry Council, formed in 2004 to acquire and maintain the building and to ensure its use as a part of the island’s social, cultural, economic and artistic community. While the building was insured, insurance didn’t cover many of the costs of relocating and renovation and bringing the building up to current codes, but the Orcas Island community stepped up to help with donations of time and money. “This is a whole new beginning,” said Carol Anderson, one of the Artworks managers. Seattle architect Ben Trogdon designed the restoration. Contractor was Terry Gillespie of Sound Construction.